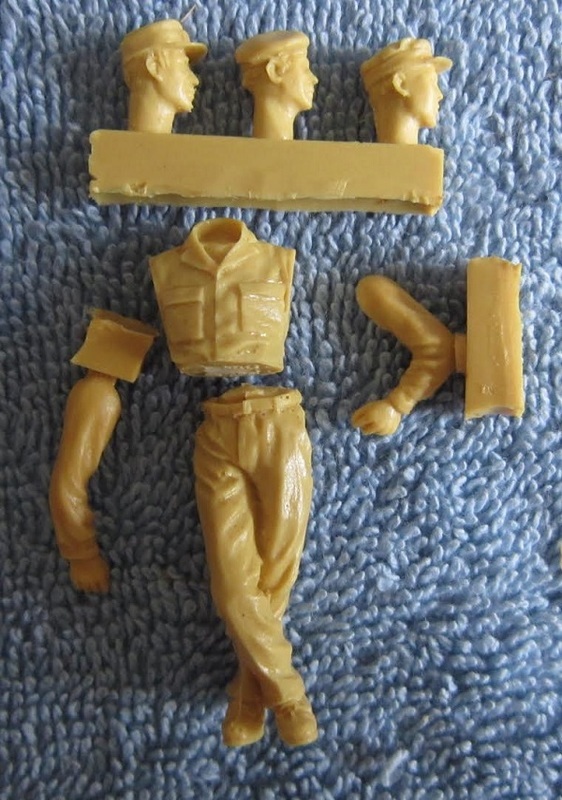 This tan resin set consists of 7 parts. 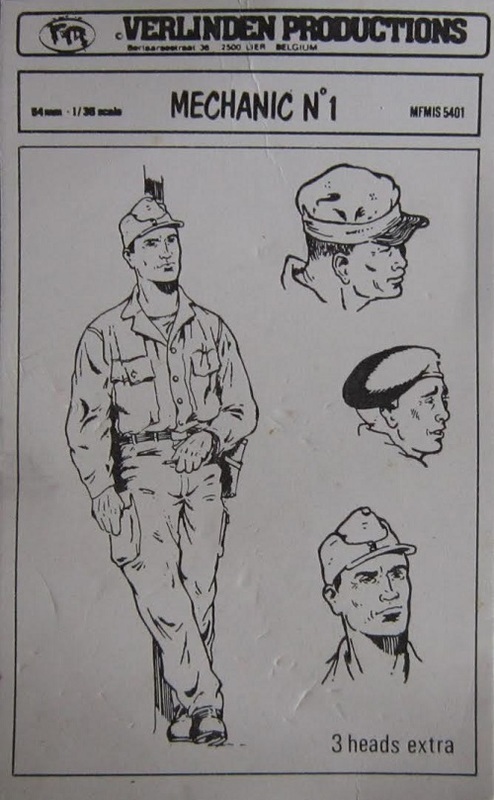 He is divided into seporate 3 different heads (German with soft field cap, British with a tam and U.S. with a soft field cap), torso, lower body and arms. He is shown leaning back against a post with his legs crossed. ​I am willing to sell him for a good price + postage.